Hello my friends! Today I would like to show you my card for a wedding anniversary created with Scent of Lavender paper collection by Pion Design. 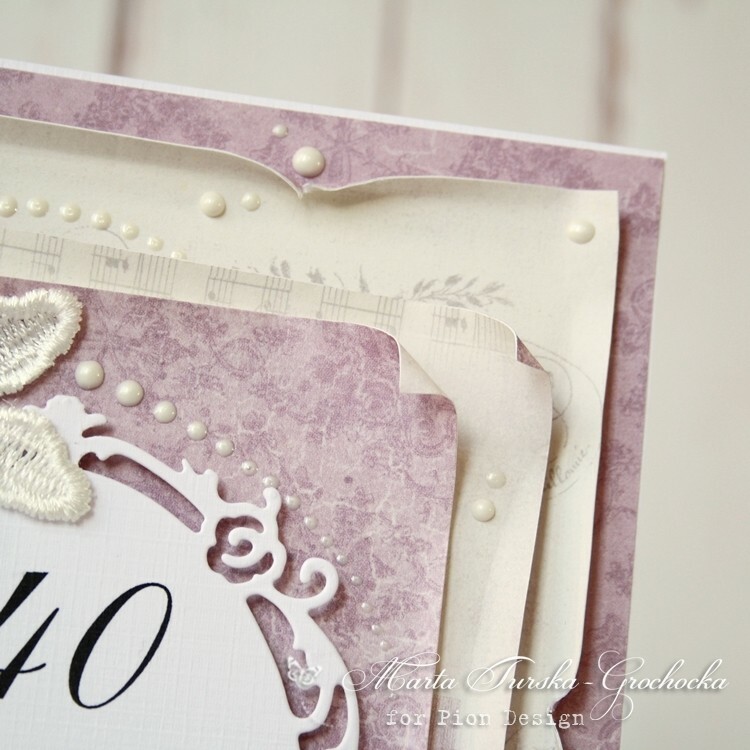 I added some guipure lace flowers and some lilac hydrangeas to show the beauty of the paper. Thanks to this beautiful collection the card is really elegant.